Maximizing the service life of abrasive belts and other abrasives and the associated reduction of grinding costs for high-performance grinding processes are the challenges of the future in industry. The use of FAPI-OIL belt grinding oil in the grinding process makes a significant contribution to making these challenges positive. Both qualitatively with regard to the grinding result and quantitatively with regard to the grinding costs, the use of belt grinding oil is very noticeable. By the use of belt grinding oil FAPI-OIL the clogging of the grinding belt by the very fine grinding dust is prevented. The running abrasive belt is sprayed with oil at a distance of approx. 10 to 15 cm by pressing on the nozzle head. If possible, this process should be repeated at regular intervals in order to constantly prevent the abrasive belt from “clogging up”. 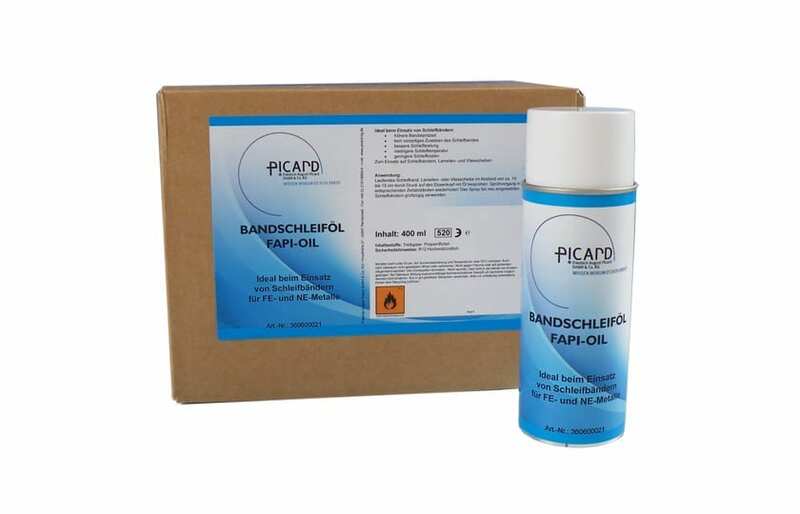 Based on our experience, we recommend that you first use plenty of FAPI-OIL belt grinding oil for new abrasive belts.